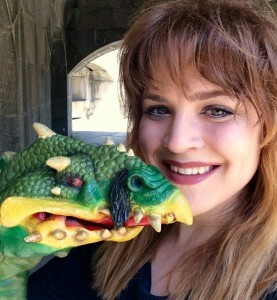 ELANA A. MUGDAN is a writer and filmmaker based in New York City. She is described by her friends and family as “the weirdest person we know,” and wears that weirdness proudly on her sleeve. 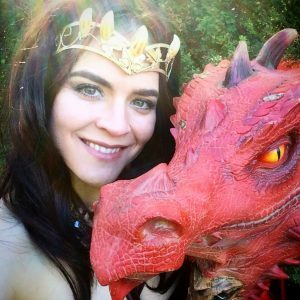 She likes dragons, as is evidenced by this book, and hopes that the world of Allentria will bring as much joy to her readers as it does to her. 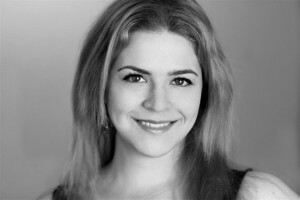 ELANA A. MUGDAN is a novelist, screenwriter and independent film producer. 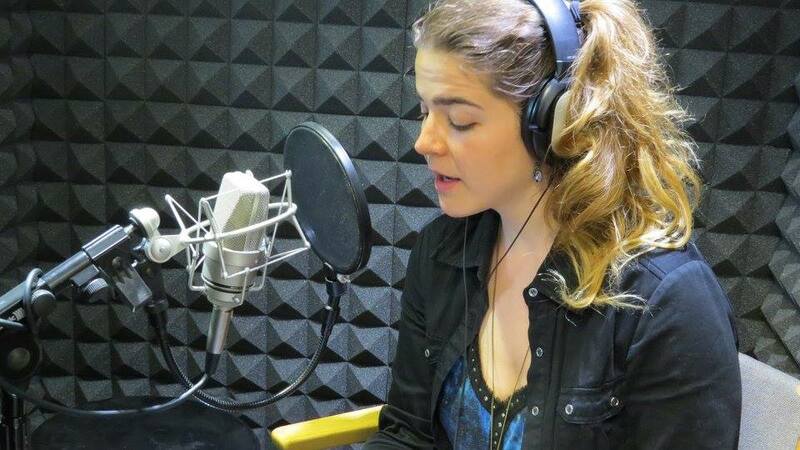 Whilst she primarily works as a producer and script supervisor in the film industry, Elana’s main passion has always been for writing. She has written novels for the better part of fifteen years, working as a ghost writer and copyeditor in her spare time. Her training with the Chicago Manual of Style – the most comprehensive style guide – allows her to do narrative, academic, and commercial copyediting for clients. Ms. Mugdan grew up as an avid reader and some of her favorite authors include J. R. R. Tolkein, Robert Jordan, Tamora Pierce and Patrick Rothfuss. 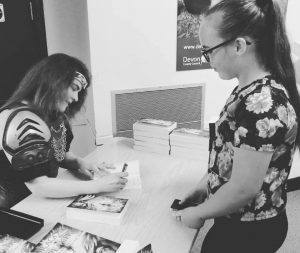 For as long as she can remember, she’s always had an affinity for fantasy and science-fiction, and through these genres she has recently been picked up by Pen Works Media for her remarkable new series, The Shadow War Saga. 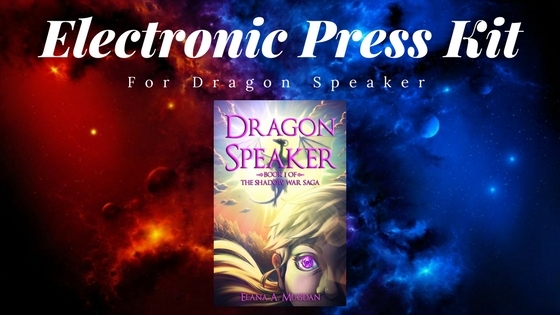 Dragon Speaker is Elana’s debut novel, and is the first of a five-part series, titled The Shadow War Saga. Each book is a continual story set in the mystical world of Allentria, and there are also several spin-off novellas that will be released throughout the duration of the project. Although these smaller stories are also set in Allentria, they will be largely unrelated to The Shadow War Saga. Born into a world of magic wielders without any powers of her own, Keriya Nameless isn’t exactly hero material, yet the goddess Shivnath chooses her to save the world’s last living dragon. She doesn’t know why it happened, and frankly she doesn’t care—this is her chance to prove her worth. 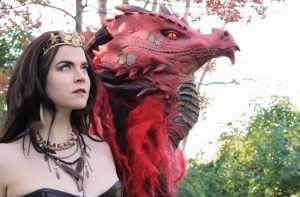 Unfortunately for Keriya, countless others are determined to get their hands on that dragon—everyone from smugglers to kings, from the Empress of Allentria to the most powerful warlord who ever lived. It would be a perilous task for even the bravest of heroes, let alone a naïve 14-year-old-girl, and as Shivnath’s chosen dragon speaker, Keriya quickly learns that she’s at the centre of an age-old war . . . a war that will decide the fate of everything. Pen Works Media is an independent publisher who aims to seek, educate and nurture talent in both literature and screenwriting, creating and publishing original works that will challenge and alter people’s perceptions of the world. Our books are currently printed and published in the UK only, but we will be officially releasing Dragon Speaker in the US this summer before running an organised tour, and we aim to roll out our other titles in America soon after. 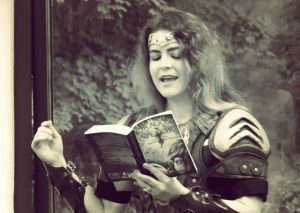 To hear a compressed version of the Dragon Speaker prologue, read by Elana A. Mugdan, just click the play button below. One of the most exciting things about this project is the number of outlets that fans can engage with both the author and the publisher. Feel free to share the links most relevent to your network. NOTE: When people join the Pen Works Media mailing list they are sent a free digital download of Elana’s masterful novella, The Champion’s Squire, so this is a great link to promote. AND WE HOPE TO SEE YOU ON OUR TRAVELS!